It is reported the British Multinational Car maker Jaguar will unveil the next generation XF saloon sedan on March 24, 2015. According to a video released by car maker the upcoming version of XF would carry same aggressive and dynamic features as offered in its siblings XE and Discovery Sport. In the video released by car maker renowned stuntman Jim Dowdall is driving the new Jaguar XF over high wire crossing. 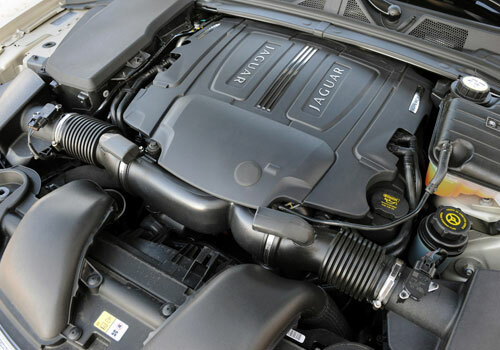 Under the hood it is expected that new XF Jaguar will continue the same engine configuration, however the top end variant that is XFR will be empowered with 5.0 litre twin turbo V8 engine. Talking about the cosmetic changes it will embellish aluminum work across the body including the engine. As far as the design is concerned it is speculated to continue the same design of existing version. It would be important to mention that sedan was brought in Indian car market by its Indian collaborator Tata Motors in 2008.